Ranked 8th in his trainee class. Upbeat and naive. Has difficulty differentiating between left and right. 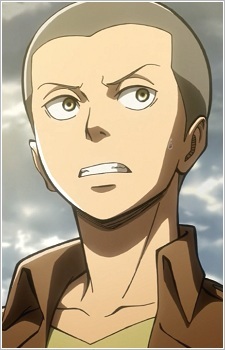 Aims to apply to join the scouting legion because he was motivated by Eren. From Ragako District. The Best 15 Anime Outfits - Ideas for Anime Costume! Are you still thinking what to wear on an anime festival day? Here is our list of the most famous and iconic anime outfits, get an idea of your costume! Attack on Titan (Shingeki no Kyojin) is meant to be a serious anime, but that doesn't mean it can't be seriously funny! Here are some funny moments in the anime as well as hilarious fan-made content!